Nicholas Ginex, a perceptive author dedicated to improving mankind’s development morally, intellectually and spiritually, has written President Trump of the need to address a subject that the American people has been misinformed about since the UFO Roswell crash in 1947. Misinformation, lying, intimidation, and murder was committed by the military and high-tech companies who colluded together, under top secret programs, to back-engineer UFO technology developed by Extraterrestrials. Ginex foresees a danger in the use of advanced galactic weapons that may kill millions of people and pollute our earth; but also, the military may unwisely initiate a self-destructive war with Extraterrestrials from outer space. This must be avoided by forcing the military industrial complex to disclose UFO Extraterrestrial technology for transparent use by U.S. companies whereby they can employ its use for the benefit of people here and around the globe. The Ginex letter to President Trump is presented below. I will be brief and to the point about a humanitarian crisis that began in 1947 and must, over the next two decades, be solved to prepare the American people to enter a new era that will increase their quality of life and save our planet. The humanitarian crisis has been created by the industrial military complex, a shadow government, that desires to maintain power militarily over your administration and continue to control the world by using the Media to infect the American people with disinformation about UFOs, Extraterrestrials, and political issues. Many Americans, and people around the world are aware of the existence of UFOs and ETs. Since 1947 the American people have been lied to and fed disinformation so that the industrial military complex can continue to obtain billions of dollars to back engineer UFOs. Today, they have been able to develop and make space aircraft that are able to use zero-point energy and antigravity to achieve spacecraft capabilities. Mr. President, I learned you have already been apprised of the covert UFO ET projects by Dr. Steven M. Greer. At this point in life, your administration has got to take control of the shadow government run by the industrial military complex. Their ownership of destructive nuclear power and high levels of technology derived from Extraterrestrial technology can be a danger to our people and other countries without complete control by the U.S. Government, namely, the Congress, Senate, you and your associates. The Internet link below provides an understanding of the problem and recommended solutions. Please read it. As our leader, we are confident that you have the courage, intellect, and compassion to resolve the problems created by the industrial military complex. In one to two decades, will we be ready to embrace Extraterrestrial beings that have evolved thousands of years ahead of ours and join a new era of galactic contact in the universe? Please insure you are well protected from military and corporate leaders that prefer to maintain the status quo and prevent Americans, and people around the world, a quality of life that can be had when UFO ET technology is available for use in all countries. www.nicholasginex.com – End of UFO letter. A World Movement for Zero-Point Energy. The UFO letter to President Trump is but one voice that supports Dr. Steven M. Greer’s life-chosen effort to improve the quality of life for all people and enter a new era of interplanetary travel. The challenge to overcome the status quo of government, religious organizations, and the military-industrial complex may take more than one or two decades. But it can be facilitated by the millions of people world-wide who are aware of the need for disclosure of zero-point energy and the benefits that can be attained for mankind. They can help initiate disclosure and change for humanity by writing President Donald J. Trump using the link below. A Request for all Readers of this Article. A guesstimate of the number of people who can actively support Dr. Greer’s cause, revealed that of a total of 27 Dr. Greer videos, a total of 13,752, 995 views have accumulated as of January 31, 2019. If the same viewer watched 4 different videos, it is estimated that as many as 3 and a half million people are intimately involved in learning about ET and UFO phenomenon. Readers of this article and the millions of Dr. Greer YouTube viewers are requested to write to President Trump. For cohesive impact of your letter effort, it is recommended that your letter use the same title, UFO letter to President Trump – 2019. You may duplicate any portion of Ginex’s letter or provide your own thoughts. Thank you for supporting a humanitarian effort that will take years to advance all people to learn to love one another and together, eliminate poverty and enter the new era of space travel. The wonders of the universe will be highly enlightening as we come to enjoy other beings in the universe. People worldwide must demand all UFO space travel technology, developed covertly by the military industrial complex, be relinquished to improve their quality of life and preserve our planet from eventual destruction. It is imperative that all technologies start to employ zero-point energy to achieve low cost energy without the use of bio fuels that are presently polluting the earth. The benefits will allow people, around the world, to no longer endure poverty, lack of food, and gain leisure time to grow intellectually and morally. This demand must be initiated by all people to gain control from the military industrial complex, a shadow government, which presently controls the Congressional, Senate, and Executive branches of the United States Government. To energize your interest, a read of this article may motivate you into action. 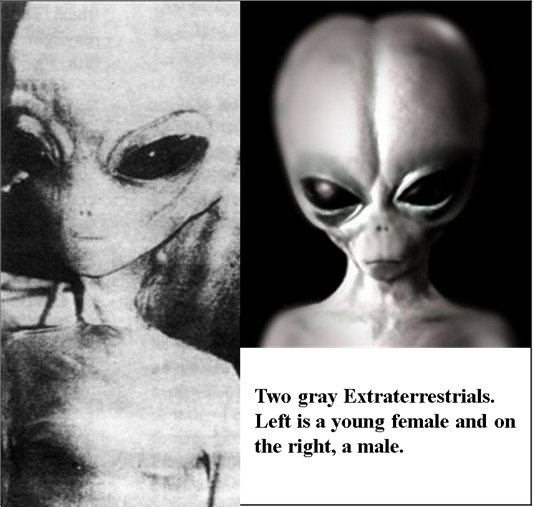 However, if you are a reader new to the subject of Extraterrestrials and UFOs, it is recommended that you read the two articles provided below. Due to the length of this article, a list of the subtopics is provided below in order to highlight their importance and are not neglected. Paul Hellyer Video with Jim Sparks. Jesse Ventura Interview with Dr. Steven M. Greer. On a YouTube video, https://www.youtube.com/watch?v=EgrCQpWz6iI, Paul Hellyer, a former, highly respected Canadian defense minister provided an interesting story given to him by Jim Sparks who has written The Keepers: An Alien Message for the Human Race. Jim claims to be an UFO abductee that has had a long-term relationship with intelligent ETs who call themselves The Keepers. These phenomenal beings have conquered death and live for thousands of years retaining their youthfulness and vigor. According to the Keepers, this isn’t the first-time humans have gotten to this critical point (in our history) and have self-destructed, but there is a good chance we can evolve this time and avoid self-destruction. Sparks outlines the exact steps advised by the Keepers of how humanity can save the Earth, save itself as a species, and join the galactic neighborhood. What do the Keepers want us to know? Hellyer read a most poignant part of Jim Sparks book, which Jim relates a meeting between himself and an ET. ET: Yes, it’s true there are some things you need to understand. Yes, its true that we have been in contact with your government and heads of power and it’s also true that agreements have been made and kept secret from your people. It is also true that in the past some of your people have lost their lives or have been badly hurt to protect the secret; our hands had no part in this. We contacted your leaders because your planet is in grave trouble. Your leaders said the vast majority of your population wasn’t ready for anything like us yet so we made time agreements with your leaders as to when your people would be made aware of our presence. This part of the agreement has not at all been kept. It was also agreed that in the meantime steps would be taken to correct the environmental condition of your planet with our advice and technology. We say advice because we respect the fact that this is your planet not ours. They also broke this agreement. Jim: I felt an awful wave of emotion from them; the feeling of abandonment. To feel any emotion from them at all was amazing but this was quite overwhelming. You aren’t going to give up on us are you I asked? There was a long silent pause. I received the transmitted feeling of tremendous loss. Well are you, I asked? Jim: I felt an immediate sense of relief straight from my own emotion. Then the extraterrestrials carried on. ET: Your air, your water are contaminated. Your forests, jungles, trees, and planet life are dying. There are several breaks in your food chain. You have an overwhelming amount of nuclear and biological weapons, which include nuclear and biological contamination. Your planet is over populated. Warning: it is almost the point of being too late unless your people act. There are better ways of deriving energy and food needs without causing your planet any damage. Those in power are aware of this and have the capability of putting these methods into worldwide use. Hellyer: And let this digest a moment. ET: Those in power view it as a military and security threat. Jim: That upset me. You mean to tell me the people in power have the ability to save them and better the planet and they aren’t doing it. ET: Complete amnesty to those in power, governments and leaders who have been suppressing the truth. They can’t be held liable for their past wrong deeds. It is the only way these leaders can come forward with the truth. It is necessary that you do this in order to work together and survive. Hellyer: Jim goes on to confirm what has been said here this afternoon or this morning that because the agreement has been broken they are working through individuals like us, like every person here in this room, to try and get the message out in the hope that we will take their warning seriously and then somehow it will be able to transmit the urgency to our leaders and to get them to act before it’s too late. In an interview with Jesse Ventura on December 29, 2019, Dr. Greer indicated to Jesse that covert, top secret UFO ET projects have been run illegally since 1947 up to and including lying to the President and top military brass at the Pentagon. He even briefed the CIA director, Bill Clinton’s first CIA director, James Woolsey. Both Woolsey and the President were completely deceived on the subject even though Dr. Greer had documentation from over 850 retired military personnel that took part in UFO ET operations. When they made direct inquiry into disclosing such operations, they were basically told to jump off a cliff. Dr. Greer further said to Ventura that there are some operations going on that are really dangerously secretive. Such a response by military leaders to lie to James Woolsey and the President is amazing, an affront to the chain of command. How can the President be told he can’t know about something that is top secret and deals with the national security and safety of the American people? It is evident that the military industrial complex operates as a shadow government and are an enormous threat to our democracy. Will top secret UFO ET projects continue to be under control of the military industrial complex with the new Space Force authorized by President Trump on June 18, 2018? This is a significant question because it is the Air Force that has largely been conducting covert UFO ET projects and it will be the U.S. Air Force Space Command to oversee all new Space Force activities. One may presume that it is very likely that many deceitful military leaders of the military industrial complex will be in the new Space Force Command. Does President Trump know who are the military leaders that have, since 1947, conducted covert UFO back engineering and communicated with Extraterrestrials into specific agreements? All undercover UFO ET operations, including new Space Force efforts must be disclosed to the President, Congress, and the American people! It is clear that a problem has been created by the military industrial complex. They maintain power militarily to intimate the U.S. government and, with the wealth of large corporations, they control views of the public by using the Media to disseminate false information about UFOs, ETs and political issues. How do we, the American people, get a shadow government, controlled by the military industrial complex, to relinquished UFO ET technology for the benefit of humanity? To effectively solve the problem, we must first understand the problem. The two main parts of the military industrial complex are the military, which includes the U.S. Army, Navy, and Airforce; and the industrial, which consists of high-tech and aircraft corporations, such as Boeing, Northrop Grumman Corporation (absorbed Grumman Aerospace), Raytheon (absorbed Hughes Aircraft), McDonnell Douglas Aircraft, and Lockheed Martin Corporation. The industrial complex includes many other commercial corporations that develop bio fuels (oil, gas, coal) used for autos, planes, production facilities and manufacture of wartime weapons. But also, large corporations that manufacture drugs and pharmaceuticals used to cure and extend human life would be concerned that Extraterrestrial knowledge would eliminate many deaths and diseases and thereby cut down their profits. With the use of zero-energy technology, many sectors of the technological and medical fields would be impacted, reducing the creation of corporate wealth with present production capabilities. The religious organizations, together with the military industrial complex financing the American Media, presently control the minds of people by respectively causing religious divisions and disseminating disinformation. These are areas that should have been addressed by intelligent leaders when we first encountered UFOs and ETs. But instead of introducing new visitors from another planet, military men and religious leaders suppressed knowledge of UFOs and ETs because they feared Americans were not capable of accepting change. This is a problem that must immediately come under control by educated and morally driven journalists and teachers at all levels of our educational system from grade school to our highest universities. To solve the psychological problems, our religious and educational institutions have got to instruct people with a factual history of mankind’s development of religions and beliefs in God. People of all faiths have got to be educated about the interrelationships of their religious beliefs so that with understanding they can accept the differences that, up to the present, have created bigotry, hatred and violence. Our educational and religious institutions have got to teach the principles of truth and honesty, which are the foundations of integrity. A paper hosted on the Internet by ERIC (Education Resources Information Center) and now resides on the Iran Politics Club website below provides an objective History of God and Religion. It serves as a fine example for educators to reveal factual truths to students, which are essential to eliminate ignorance and instill moral integrity in all people. There is an urgent need for a drastic change in our Media, be it news, TV, movies, magazines and articles, to have all Americans, and the world, realize that there are real possibilities for change by intelligent inventors that can assist in making the technological changes from a bio fuel paradigm to an energy-free world. The changes will not occur overnight but can within one to two decades. Education that surfaces the truth about UFOs and ETs is the answer. Education with honest Media reporting promotes integrity and allows people to make sound choices and decisions. This can be achieved by instilling learning with the great command given by a man of God – love one another. Write to your state leaders, assemble, and make known that you want the President of the U.S. to revamp and reorganize all UFO ET projects so that complete disclosure of all technological developments will no longer be kept secret. This means that all corporations that have participated in top secret developments are to release all patents they secured to maintain control of technology that were developed with billions of U.S. tax dollars. Yes, such corporations may continue to use UFO ET technology but for the betterment of humanity. It will increase production as the cost of energy becomes minimal with zero-point energy and new technologies will emerge. It will increase the quality of life for all people as UFO ET knowledge is utilized by countries worldwide. Our lives and our planet can benefit from zero-point technology when people from all countries work together. The reward will be a path to the wonders of the universe. humans can benefit from the knowledge ETs have acquired over many thousands of years. We can learn of their culture, philosophical and/or spiritual beliefs, and if they bring up their young with values of truth and integrity. It will be a great opportunity to learn about the beginnings of our universe. In closing, a half page letter for local, state leaders and our President is provided below. Your participation is needed. One blade of grass in the wind will be of no avail. Together, we, the people throughout the earth, need to save our lives and our planet for millions of years into the future. A humanitarian crisis has been created by the military industrial complex, a shadow government, that desires to maintain power militarily over your administration and continue to control the world by using the Media to infect the American people with disinformation about UFOs, Extraterrestrials, and political issues. 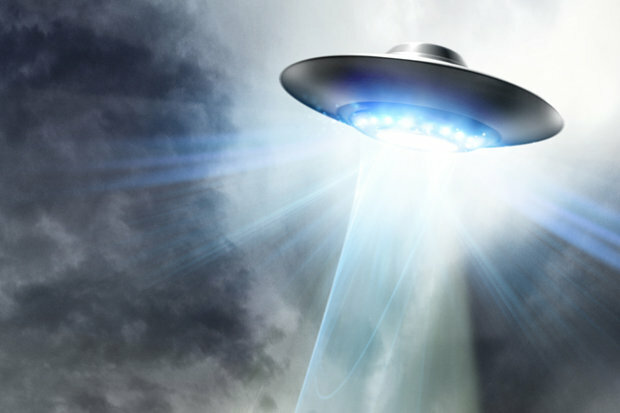 Many Americans, and people around the world are aware of the existence of UFOs and ETs. Since 1947 the American people have been lied to and fed disinformation so that the military industrial complex can continue to obtain billions of dollars to back engineer UFOs. Today, they have been able to develop and make spacecraft that are able to use zero-point energy and antigravity to match UFO space travel capabilities. Mr. President, I learned you have already been apprised of the covert UFO ET projects by Dr. Steven M. Greer. At this point in life, your administration has got to take control of the shadow government run by the military industrial complex. Their ownership of destructive nuclear power and high levels of technology derived from Extraterrestrial technology can be a danger to our people and other countries without complete control by the U.S. Government, namely, the Congress, Senate, you and your associates. The Internet link below provides an understanding of the problem and recommended solutions. Please read it. As our leader, we are confident that you have the courage, intellect, and compassion to resolve the problems created by the military industrial complex. Please insure you are well protected from military and corporate leaders that prefer to maintain the status quo and prevent Americans, and people around the world, a quality of life that can be had when UFO ET technology is disclosed and made available for use in all countries. Readers of this article and the millions of Dr. Greer YouTube viewers are requested to write to President Trump. For cohesive impact of your letter effort, it is recommended that your letter use the same title, UFO letter to President Trump – 2019. You may duplicate any portion of Ginex’s letter or provide your own thoughts. Below is the appeal Dr. Greer made to both President Trump and President Putin. It has come to our attention that Extraterrestrial Civilizations of great technological advancement have been visiting the earth for some time. While their presence likely dates from very ancient times, the modern era since WW II has seen a large increase in sightings and interactions with these advanced life forms and their spacecraft. It must be emphasized that they appear to pose no threat to humanity or earth, but instead are quite concerned about our own unchecked war-making capabilities and violence, combined with our early attempts at the exploration of space. Since the dawn of the nuclear era, these extraterrestrial civilizations have made concerted efforts to do reconnaissance at all known space and nuclear facilities. In some cases, these facilities have been penetrated by ET craft and our nuclear missiles rendered inoperable. Such incursions appear designed to warn us not to use these world-destroying nuclear weapons and are not acts of hostility. They also appear concerned with the rapid decay of our biosphere and environment and the extinction of many species on earth. Since World War II there have been extremely secretive programs studying the energy, communication and propulsion systems of these ET spacecraft. It is time for us to disclose these momentous scientific findings to you. These technologies have the potential – if used only for peaceful purposes – to give us a new and sustainable civilization on earth, free of poverty and pollution within a generation. However, if used for destructive and violent purposes these same technologies could end our civilization. For this and other reasons, the strictest secrecy has surrounded the study of these extraterrestrial technologies. But the time has arrived for the truth to be known: we are not alone in the universe. And it is time for humanity to become a mature, peaceful civilization and take its place in the cosmos with other advanced peoples from other star systems. To this end, I call on the world community, other world leaders and all the people of earth to come together and begin this new era on earth. We must make open, peaceful contact and initiate diplomatic ties to these other worlds. We must do this as children of earth and not just one nation. All nations and people of earth must be represented and empowered in this process. We must commit to keeping all weapons out of space and going only into space for peaceful purposes that benefit all of humanity. We must bring forth these advanced energy and propulsion technologies so that the world’s environment and people benefit. We must all agree to never allow these new technologies to be used as weapons of war. And we must commit amongst ourselves that if any nation or group attempts to use these technologies for violent or destructive purposes, every nation and people on earth will rise up to immediately stop it. We face a choice: If we do nothing, our environment and civilization will degrade and we may face extinction. If we use this new knowledge and science for war and destruction we will also surely perish. But if we establish a world of peace, humanity can now advance as a civilization that is sustainable, just, and worthy of exploring the universe. This is the singular and great challenge of our generation: to establish world peace, and to create a new sustainable civilization. Once we have achieved this foundation of peace and justice, we have learned that these other worlds will welcome us in the cosmos with open arms and hearts. An enlightened, peaceful world that joins her place among the other people of the cosmos. For this is the only possible good future for humanity. It is time for us to unite as a people and create that good future – NOW. As stated above, the solution requires the ability to control two components of the military industrial complex that have betrayed the American people: one- military leaders that control the organized covert UFO ET projects, and two- the industrial complex of large corporations that participated and facilitated in back engineering UFO capabilities. The objectives of the military industrial complex are to retain such knowledge from humanity and continue the status quo of obtaining wealth and control at the expense of entering a new era that can serve to raise the quality of life for all people and save our planet from eventual destruction. All people must become aware of the immensity of the problem created by the military industrial complex and of the psychological and technological solutions presented. Success for the solutions proposed will require AMNESTY for all military leaders and corporate personnel involved with UFO ET activities. The deceitfulness needed to conduct covert UFO ET projects required the murder and intimation of many military and corporate personnel. The military was culpable for many murders, such as an ET shot and killed in 1978 at Fort Dix according to Major George Filer III and, it has been reported that even President Kennedy was killed because covert military leaders believed he was going to disclose UFO ET operations to the public. 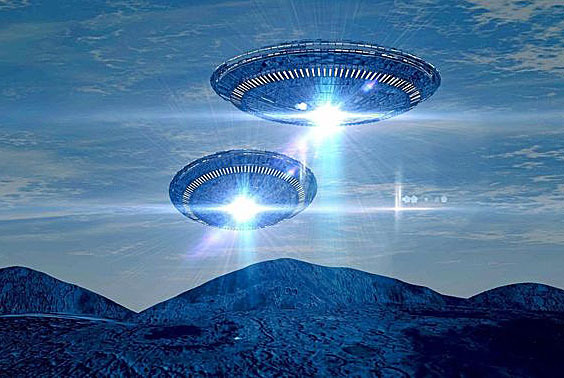 With Amnesty, men and women in corporations and military operations that actively facilitated and worked on UFO ET projects will be able to come forward and disclosure of all scientific and engineering knowledge will be obtained. That knowledge must be given back to the American people to enable intelligent, compassionate, and perceptive people to properly plan and develop UFO ET technology for peaceful means and thereby enrich the lives of all humans. AMEN. The Beginning of the Creation of God has received two new book reviews in 2018. These reviews compliment the reviews by Mike Voyce and Andrea Borja who respectively wrote: Praise for Ginex’s Amen and Concise and Balanced. Few people have been informed or taught that Amen was the greatest Egyptian god for over 2,000 years before the birth of Jesus Christ. Even less people know that Jesus announced in Revelation 3:14 that Amen is the faithful and true witness the beginning of the creation of God. This is why Amen was written, to provide knowledge that has not been taught in our schools, universities, and religious institutions. To incite your interest in reading this factual book about how Ancient Egypt religious beliefs are the core beliefs of the Judaic, Christian and Islamic religions, two book reviews written in 2018 are provided below. Click on the Amen image below for the online Pacific Book Review. In the forward of Nicholas P. Ginex’s Amen: The Beginning of the Creation of God, the author encourages the reader to look past previously conceived and taught religious ideologies, and consider a “new” idea; that all religions share similar theologies because they share a common ancestor. While such a claim deserves to have an audience, most will reject all the ideas brought up in the first chapter. Ginex is not a stranger to this statement and actually wrote a forward explaining negative reviews and outright rejections of his work. Therein lies the real shame. Most will not even listen to Ginex’s ideas because they reject what is core dogma in religion. It is not an exaggeration to say that this book is an important read. By accepting the ideas, or at least accepting the What ifs, readers can come to understand that the commonalities between all religions can bring a peace to the world, one which is sorely missing. At the very least, Amen will give you pause to think. Embrace that pause and know that questioning theology doesn’t cause a loss of faith. Instead, it can create a strength as followers in a religion can come to better understand why the ideas of their own beliefs are important. Beside the importance of the topic, it’s also a solidly good read, one full of interesting historical facts that weaves together a premise that has the potential to do a lot of good in the world. While the word “amen” is typically defined as meaning “so be it,” this book examines an Egyptian deity known as “Amen” and his influence on Judaism, Christianity, and Islam. Amen is seen not just as an important word and concept but also as an important god in religious history. The first part of the book focuses on Egyptian religious history and then moves into examining the monotheistic God, Amon as the “sole God,” Moses and Judaism, Catholicism, and the Islamic Empire. These are then followed by Jesus and his Revelation as well as the future of religions. The book continues with an appendix which lists all the work the author did to promote this book and then an epilogue by another person. In the end, the book posits that the holy scriptures need to be revived. With its in-depth examination of Egyptian religious history as well as Judaism, Christianity, and Islam, there is significant research done by the author which will make the reader ponder his premise. Filled with figures and tables which aid in this study, it is easy to become engrossed in this history. 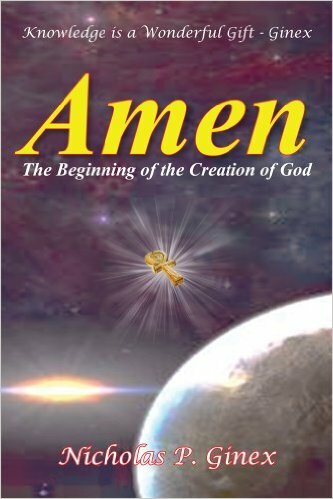 The focus is on one quote from Jesus in Revelation stating that: “These things saith the Amen, the faithful and true witness, the beginning of the creation of God.” The author sees this statement as verifying that Amen (Amon) is the god of creation. Due to its premise, the book is bound to spark a great deal of conversation in religious circles. The focus on humanity’s need to love one another is a valuable theme.